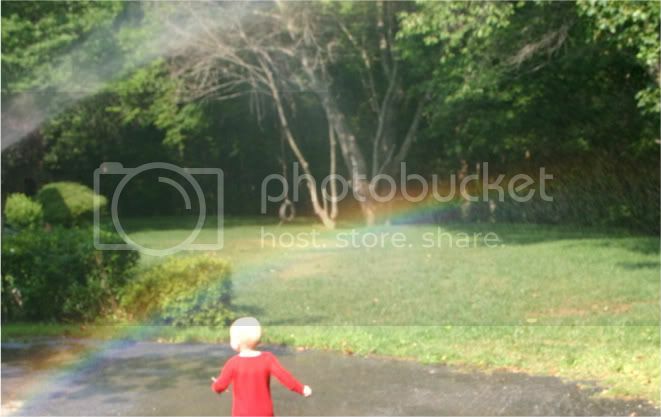 Pepe was spraying water with our new fire hose attachment and this awesome rainbow appeared. I had to take a ton of photos to get Baby O under the rainbow at the right angle. That is so beautiful! What a great picture. Miss that little guy! Did he find the pot of gold? you are almost at 200 only five more.